Channel the power of the Dark Side with these officially licensed Darth Vader Oven Gloves! Styled after Vader's gloves seen in the Star Wars movies, this set includes two oven mitts, one for each hand. Made from flexible, heat resistant silicone (up to 445 degrees F), each replica glove features a great anti-slip grip - perfect for holding on to your lightsaber, or pots and pans. To show that these oven mitts meet Lord Vader's approval, each glove is embossed with the Imperial insignia. The perfect gift for any fan of Star Wars, especially those who love to grill or cook indoors! 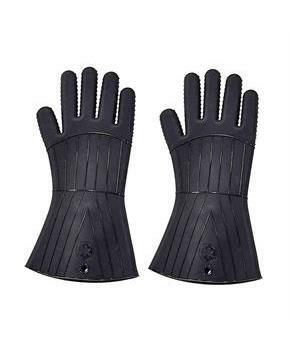 Styled after Vader's gloves seen in the Star Wars movies, this set includes two oven mitts, one for each hand. Each replica glove features a great anti-slip grip - perfect for holding on to your lightsaber, or pots and pans. 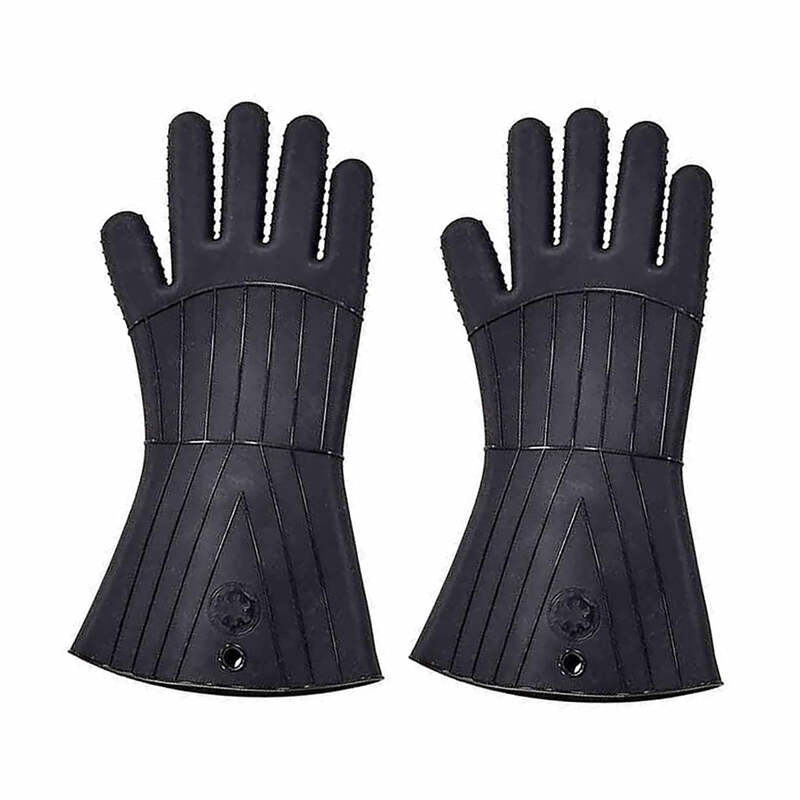 To show that these oven mitts meet Lord Vader's approval, each glove is embossed with the Imperial insignia. The perfect gift for any fan of Star Wars, especially those who love to grill or cook indoors!